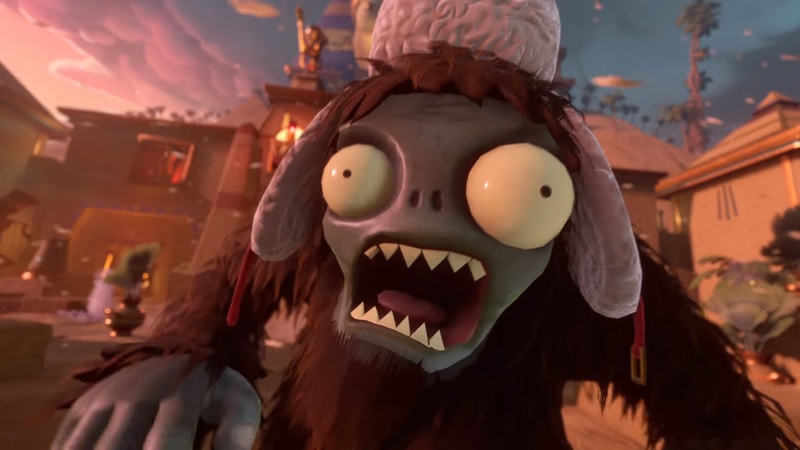 Check out these twelve new Garden Warfare 2 achievements. Twelve new achievements have been added to Plants vs Zombies: Garden Warfare 2 this week, along with a patch to address various balance issues. These achievements come as a part of the new Trials of Gnomus DLC, which was released today as well. This free content update includes reworked game modes, character tuning, and multiple new features for players to discover throughout the Backyard Battleground. There are 12 new achievements total, two of which are secret achievements. We have provided a list of each new achievement below, along with their descriptions and point values. Now is a good time to avert your eyes if you want to avoid potential spoilers. Most of these achievements pertain to the new features that have been added with the free DLC, such as the Mystery Portal. Infinity mode has also gotten an upgrade as well, as is reflected in the “Cats vs Dinos” achievement descriptions. After months of speculation, players finally get to know what’s inside Town Hall, and it’s as much of a time-twister as fans predicted it would be. Once we discover more about some of the mysterious Gnome-related puzzle features that have been added to Plants vs Zombies: Garden Warfare 2, be sure to check back here for details on how they work.